Opens in 2 days 12 h 0 min. Down the side road at the Claremont Apartments opp Mosque in Main Road. Write a review for Clares Laundry Services! 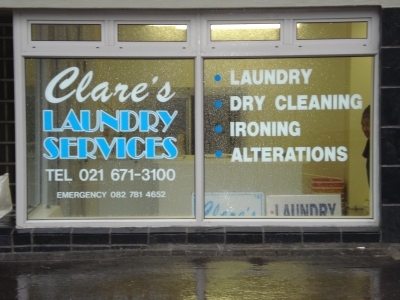 Do you know Clares Laundry Services? Share your experience - write a review!